Nova appears in the John Romita Sketchbook. Includes a Nova model sheet and his comments on the changes he made to Len Wein's Black Nova costume to create Nova's published look. Thanks to Don Lund for letting me know about the book! Nova appears as part of the New Warriors entry in the Marvel Encyclopedia: Spider-Man edition. Includes a picture of Nova along with the text entry. Nova appears in a single flashback panel in Thanos #1. The question was: "Would you like to see a Nova book in the Epic line?" The question was: "How do you feel about the site redesign?" Nova won the MU Survivor contest (after 14 rounds!) on the Marvel Universe Comic Board! Nova appears in Paradise X #11. Nova appears in Marvel Universe: The End #5. Nova appears in Paradise X #10. Nova appears in Spider-Girl #59. Spider-Girl (which featured many appearances by the M2 Universe Nova) has been saved from cancellation again! Nova appears in Paradise X #9. Thanks to PaxHouse for the info!! Spider-Girl (which featured many appearances by the M2 Universe Nova) has been cancelled as of issue #61. The question was: "Should Rich have been allowed to continue playing baseball?" In Wizard #139, Nova is listed as #9 in the 'Top 10 Most Underrated Characters in Comics'. 3/2/03 Nova: The Ultimate New Warrior! After a round robin tournament lasting 4 months and pitting Warrior against Warrior, the one left standing was...NOVA! Click HERE to view the results. Special recognition goes to Corey Blake, the organizer and coordinator of the Yahoo New Warriors Group tournament. He did an incredible job!! Corey also runs the fantastic New Warriors Continuity Conundrum website. Nova will have an appearance in (and on the cover of) Paradise X #11. The question was: "Which is your favorite version of the Sphinx?" Nova will have appearances in Spider-Girl #58 and #59. 12/30 Added Chee/Poh's art to FanWorks. 12/30 Added Lawrence Snelly's Nova figure to FanWorks. 12/30 Added Chuck Johnson's art to FanWorks. 11/23 Added John Romita Sketchbook to News and Checklist. 11/23 Added Marvel Encyclopedia: Spider-Man to News and Checklist. 10/18 Added Wil E's art to FanWorks. 10/7 Added Nova appearance in Thanos #1 to News! 10/7 Added Thanos #1 to Checklist. 10/7 Changed poll question and posted results. 9/3 Added Nova t-shirt to Products. Special thanks to Lance Wright for the scan! 8/29 Added info and art to Issues/Unpublished Works. 7/21 Added Scott Rosema sketchagraph to Products. 7/21 Added Jez's custom figure to FanWorks. 7/12 Added Silver Surfer w/Nova t-shirt to Products. 7/11 Added news of Nova's victory in MU Survivor. 7/11 Changed poll question and posted results. 6/28 Site won the Golden Web Award. 6/12 Added new wallpaper to FanWorks. 6/12 Added DaveFab1's artwork to FanWorks. 5/28 Added Marvel Universe: The End #5 appearance to Checklist. 5/28 Added Paradise X #11 appearance to News. 5/16 Added Marvel Universe: The End #5 appearance to News. 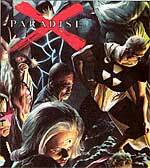 5/3 Added Paradise X 10 to Checklist and Out-Of-Continuity. 5/3 Added Paradise X #10 appearance to News. 4/20 Added Spider-Girl #57-#59, Paradise X 1, 9 & 11 to Checklist and Out-Of-Continuity. 4/2 Added Spider-Girl #59 appearance to News. 4/2 Posted Spider-Girl's save from cancellation. 3/29 Added Paradise X #9 appearance to News. 3/19 Changed poll question and posted results. 3/15 Redesigned the entire site! 3/3 Added Nova's Wizard listing to News. 3/2 Added UNWB results to News. 2/26 Added new Nova appearance in Paradise X to News. 2/23 Added John Farley's Mego Nova to FanWorks. 2/15 Added Jay's HeroClix to FanWorks. 2/15 Added Giovanni's art to FanWorks. 2/15 Added Bill Burns' figure to FanWorks. 2/7 Added Mark Bagley sketch to Creative. 2/7 Finished Writers and Artists bios in Creative. 1/19 Changed poll question and posted results. 1/16 Added Marvel Age #120 to checklist. 1/11 Added information on the Star/Black Nova in Adventures. 1/4 Added new Nova appearances in Spider-Girl to News. 1/4 Added Spider-Man and his Amazing Friends #1 to checklist.